How do I download the internet? Have you ever spoken about computers with an elderly person? It’s hysterical, isn’t it? They’ll ask questions like “Does the internet have…”, as if the internet were some sort of shop. They’ll buy a computer and ask if it comes with internet. They’ll ask things like “How do I download more memory?”. They’ll tell you not to browse the internet because they’ll get a virus. If they want to go to a website, they’ll type the address in the google search bar. And, as must have been the case with telephone and TV services in their days, they think the internet is property of some named company (presumably Google, Microsoft or whichever brand made their computer) and that, when it’s a bit slow, they can phone that company and ask them to ‘restart the internet’. In some ways, this is funny. In some ways, it’s interesting, as it tells you something about how things worked in previous generations. In some ways, it’s incredible that something with which many of us are so familiar by now, is such an unknown territory, such a grand mystery, to people who were born only a few decades before us. Something very similar to this is what I experience when I talk to people who can’t cook. In some ways it can be funny, in some ways understandable, and in some ways just downright weird. The look on the face of a friend, for example, when I told him that fajita mix is really just a mixture of varying spices and that you could make it yourself, was one of pure amazement. The look on his face when he then realised he’d always paid 4 quid for a box of tortillas and a rather small quantity of salty powder was even better. Similarly I had a conversation about French toast recently. My sister, who’s one of the people I know who cannot and do not like to cook, asked me how to make French toast. I told her egg, milk, sugar, cinnamon. “Unless, of course”, I added, ”you want to make savoury ones. Then you just add salt and pepper instead of sugar and cinnamon.” The notion of savoury French toast blew her mind. And this is the things that happens surprisingly often. Like elderly people believe that Internet Explorer is a company that owns the internet and is in charge of what they’ll put on there, some people seem to think that cooking is limited to a list of existing recipes, set down by people who are in charge of these things, and that you just cannot go and change these. In the same category, fajita mix and curry paste are made by Old El Paso and Pataks, and that’s simply how things work, you can’t go about making these things yourself. And similarly, French toast is sweet and does not exist in a savoury version. But it can be done and is actually very nice! It’s especially great for those of us who prefer something savoury for breakfast over something sweet, like me. 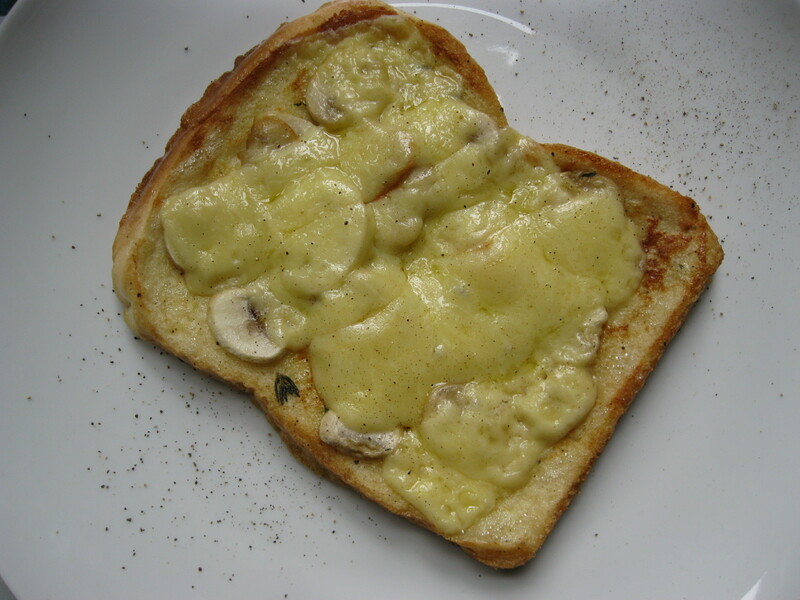 This one, with mushrooms and cheese, is nice and flavoursome, but not too overwhelming for the early hours. Whisk the egg with the milk in a bowl, add a pinch of salt and some ground black pepper, and the thyme. Mix well and pour it onto a plate that’s deep enough to hold the mixture, but large enough to put the bread in. 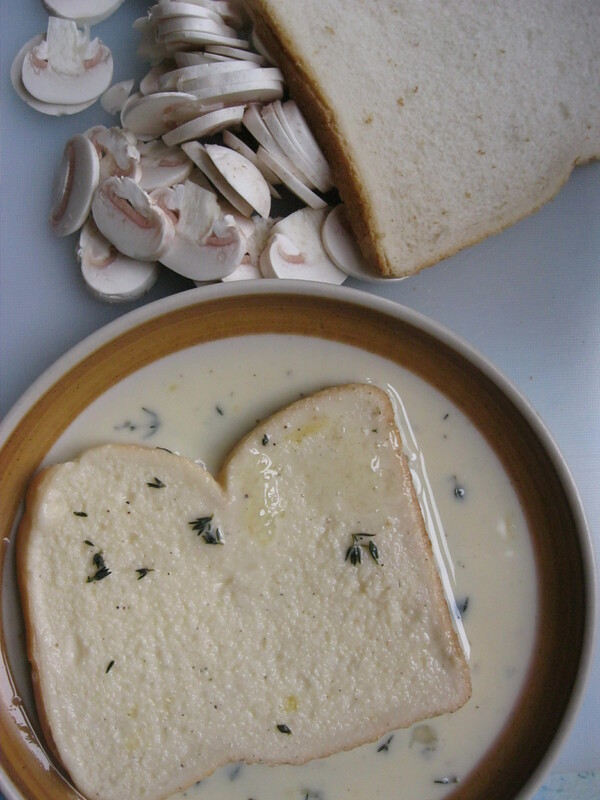 Soak both slices of bread. Slice the mushrooms into thin slices. Heat some butter in a frying pan. 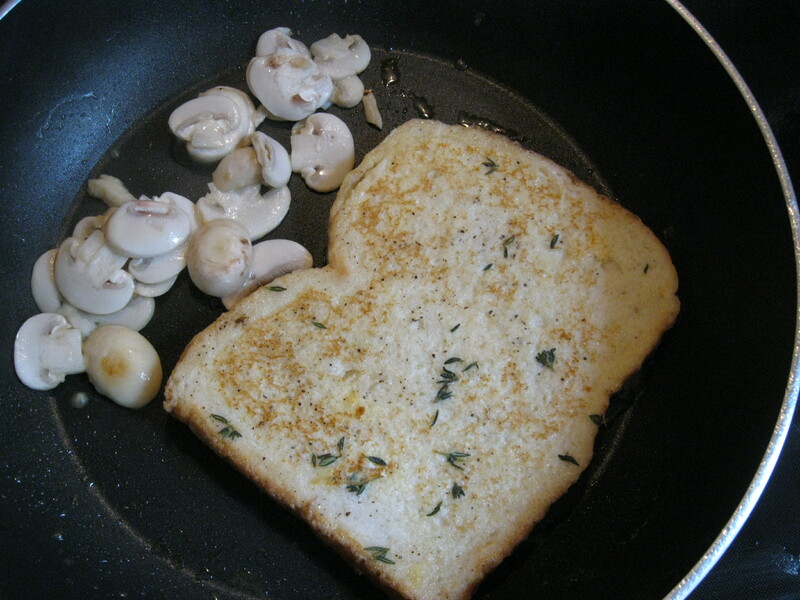 Once it’s hot, start frying one of the slices and half the mushrooms. Unless you have a frying pan that’s big enough to hold both at the same time, in which case go for that. 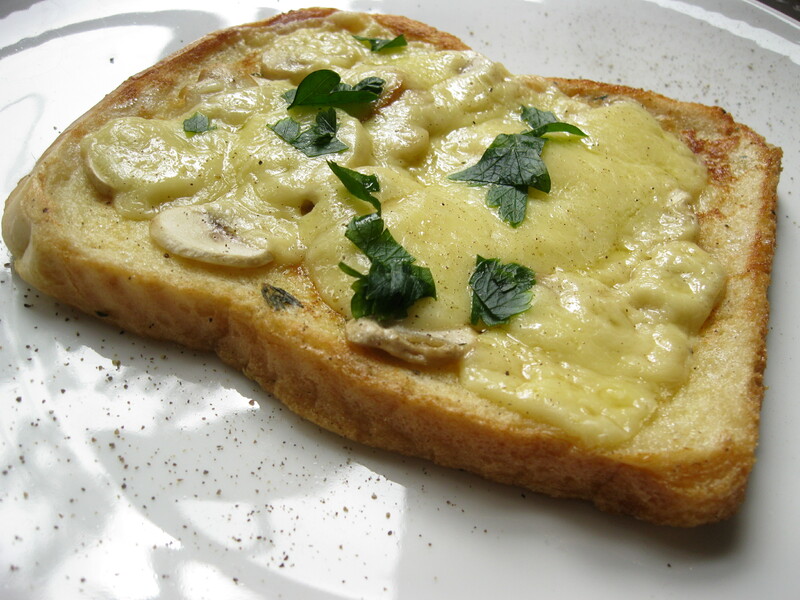 Flip the toast once one side’s done, and pile the mushroom slices on top of it. Once the other side’s done, too, cover the slice in cheese and stick the whole pan under the grill. Don’t worry about the pan, the grill will only take a minute (although, if you happen to have one of those heavy, thick, amazing frying pans, I’d advise you to use that one, just in case). Once the cheese is nice and soft (or a little later if you want a little cheesy crust), take out the slice and repeat the whole process with the other slice. Garnish with some fresh flat parsley and some more black pepper. After years of being based in Glasgow, I've recently made a home for myself in Turin, Italy, for the time being, at least. This blog is my captain's log. Here I note down what I did, and what I ate. A story, then a recipe. That's how this here works. Updates on Wednesdays. This entry was posted in Food, Vegetarian and tagged breakfast, cooking, French toast, humour, technology. Bookmark the permalink.